I am not sure if any of you got a chance to watch the opening ceremonies of hte 2008 Olympics in Beijing or if you are boycotting it like many others. But it was absolutly magnificent to watch. I have seen every opening ceremonies since I can remember for both the summer and winter games and I have to say, this is probably the best yet. From the dancers to the drummers to the creation of a large piece of artwork created by the artists in the artistic portion as well as every athelete that attended last night. 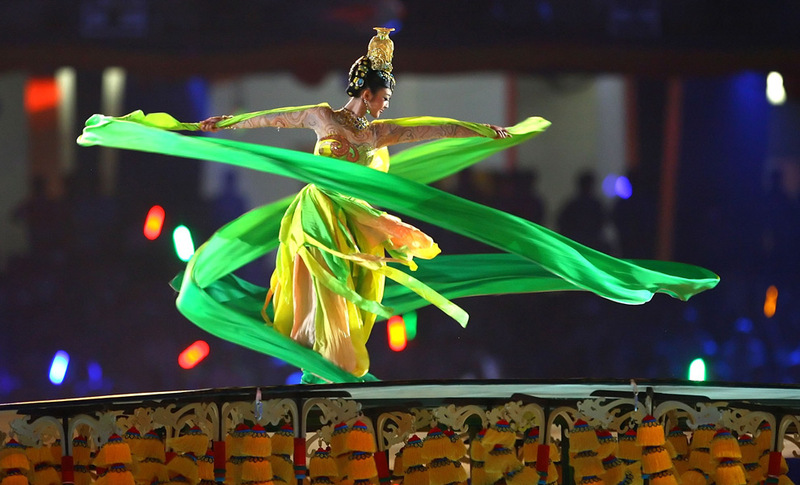 It was beautiful to watch China embrace its history as well as its future in the performance. And while I know many people have problems with China – I do to – I couldn’t help but be moved by it. This is one the oldest cultures in the world that is still a major player. They existed as China for over 5,000 years. And to see where it has come from and that they want to change from being closed off from the world… remember up into the 70s the modern era of China did not have any contact with the outside world really. But I am not one to say anything. I grew up with our country having relations with China. But I am looking forward to watching the Olympics this year. There is something magical about it this time around. I do not know what it is. Maybe it was the magic that was envoked last night during the show. The realization that the one flag almost every country on the planet honors is the Olympic flag. Its a symbol of unity, change, diversity and peace. One can only hope that during these times of war, when there is no longer the call for peace of arms during the Olympics that idea can permentate the psyche of the citizens of the world. And realize, as so well said in the opening ceremonies – that it takes many to make a single person great. But for me it was finished with one of the most moving stories of young, Lin Hao who at 9 years old survived the earthquakes a few months ago and dug himself out the rubble of his school. Then went in after he came out and saved two of his friends. Why? Because he said, it was his job. He was a class leader. I don’t know why but that story just moves me to tears. But the games begin today and I am sitting at work with the TV on watching beach volleyball and just watched the medal ceremony for the Fencing which was won by the US… our first medal. Hopefully, one of many this summer. Just read your blog, very interesting points and great thoughts on the subject. Thank you for stopping by and enjoying my post.